Appeal against the Italian Competition Authority (Autorità Garante della concorrenza e del mercato). 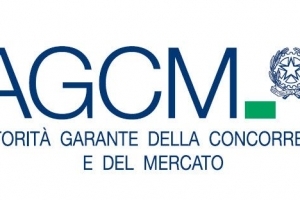 The Italian Competition Authority (Autorità Garante della concorrenza e del mercato), called also Antitrust or AGCM, is an independent administrative authority based in Rome. - marketing of sports rights. The Antitrust Authority can make investigations, warn and impose fines. In cases of violations of the rules on competition, the fine can be up to 10% of the company's turnover. In case of violations of the consumer protection's regulations, the Authority may impose sanctions up to 5,000,000 Euro. In cases of necessity and urgency, the Authority may issue further protective measures for the protection of general interests. Against the decisions of the Italian Competition Authority, it is possibile to appeal before the Regional Administrative Court of Lazio (Tribunale Amministrativo Regionale del Lazio or TAR Lazio), located in Rome. If you need legal assistance for appeal against the Italian Competiton Authority, don't hesitate to contact us (click here: Lawyers in Italy).